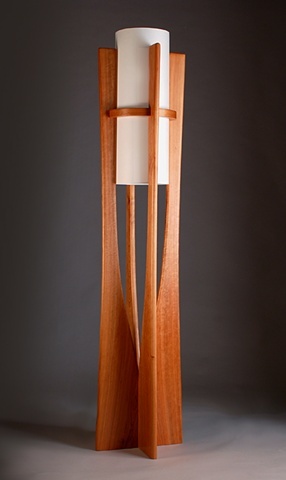 - Floor lamp shown in solid cherry wood. - Lamp shade made of white mulberry paper. - 150 watt max. bulb controlled by three way pull chain.